Pass through the historical town of Falmouth with its Georgian style houses, as well as Columbus park, the site of Christopher Columbus first landing, on a very informative history lesson. 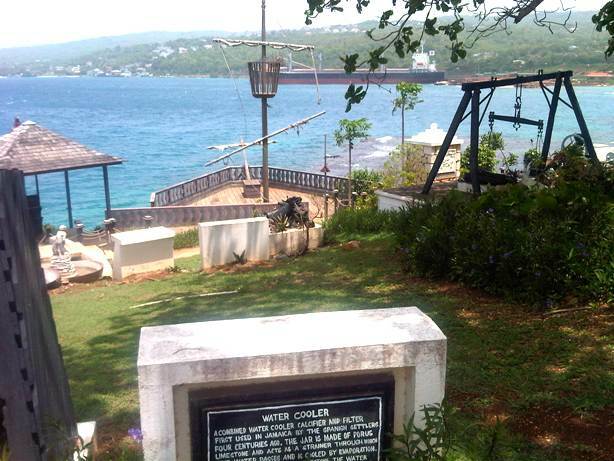 Journey on a leisurely ride along Jamaica's scenic and picturesque North Coast to Ocho Rios, where you visit Jamaica's world famous Dunn's River Falls; a cascading waterfall which flows into the Caribbean sea. Climb the 600' waterfall and bask in its refreshing natural pools or sunbath on the nearby beach. First, I would like to thank our driver/tour guide, Junior, for driving us to Dunns River fall. Dunns River was beautiful and quite stunning to watch the water cascade over the rocks as it rushed down to reach the sea. We were happy that you allowed us to see the falls without getting wet, because my mother does not swim. We walked all the way down the steps, until we saw the beach at the bottom of the falls. The beach was beautiful. So nice to walk on the white sands and just take it all in. We also appreciated the restaurant, called whalers, where we finally tried red snapper, it was delicious. Junior also took us up the mountains for a while and than took us to a store to do some souvenir shopping. I was really happy that Junior selected tracks and records, where I found about 95 percent of the souvenirs on my list. When Junior dropped us at our resort, We thanked him and my Mother gave him a big hug for his driving skills and making her feel safe and happy. Thanks, for the tour. It was worth it. This excursion was the best. Michael was great. We liked him very much. Great job. We all had the best time. I would like to give Christopher high marks on our excursion from Falmouth to Dunn's river falls. He explained history and stopped and showed us Columbus park. Very personable. I highly recommend your company and Christopher as a guide! We had a wonderful experience on our tour to Dunns Falls. Our driver, Densil, was friendly, informative, and fun. We greatly enjoyed our trip to Jamaica and would not hesitate to use your company in the future. Thank you for a great tour! We had a wonderful experience on our shore excursion to Dunns River Falls! Our guide took excellent care of us and told us all about Jamaica on the way to and from the park. Once we were there, our river guide expertly led us up through the falls. It was an adventure that I won't forget and we enjoyed every minute. Thank you for the excellent care! Great Job By our driver Vincent! We have been to the falls before but not with extended family. Vincent was the perfect host since he was a native Jamican. He explained that since we had been to Jamica before that we were no longer Americans in fact we were now JEMARICANS. He waited at the falls for our party of seven to complete our climb and then took us, at our request, to a local resturant for Jerk Chicken and Red Stripe Beer. A PLUS for the tour, A PLUS for JAITAL and of course our new friend VINCENT! Our trip went very well. We were very pleased with everything and how it went over. Our car driver and guide, Stephen, was excellent. We couldn’t have asked for a better time and experience. Very smooth. I will certainly recommend you to others as I pass this along. A big thank you to Jaital and Jeremy for getting us safely to and from Dunn River Falls. Everything from questions, booking and arrival went very smoothly. 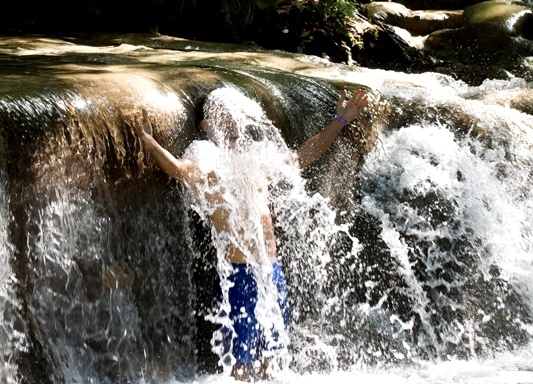 We had a great experience on our tour to Dunn River Falls recently. Our driver Terry was excellent and kept us amused throughout the journey. I would not hesitate to recommend this company whilst you are in Jamaica and I would definitely use them again. We had a wonderful experience our driver was great. He answered all of our relentless questions and shared a lot about life in Jamaica. We felt safe and he was a superb driver. He was there waiting for us. We wish we would have known he was there so early as we just walked around the port shopping until the time we were told he would be there. We would use Jaital again in the future, hope all your tour guides are as good as he was. We had a great trip and were very happy with Jaital. It was so nice to have our own private tour, we felt very safe and comfortable. We thoroughly enjoyed our recent tour in Jamaica. Our guide Paul was friendly, careful, and professional. We were very impressed by him. 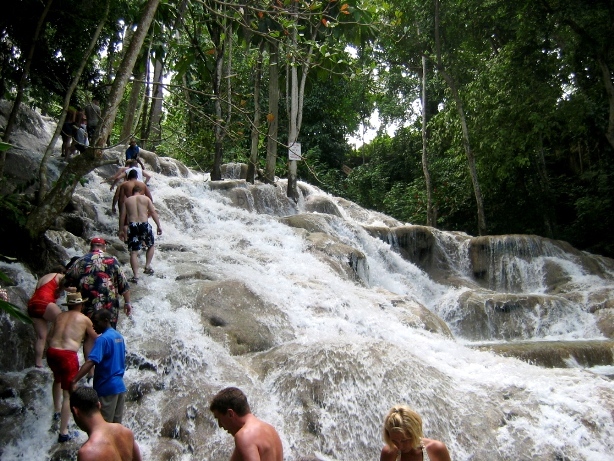 Dunn's River Falls was exciting, and something every visitor to Jamaica should see. I love that you invite tourists to bring school supplies, which we did; I hope they found their way to some smiling kids on the island. We will definitely recommend your tour company to other travelers. We were very pleased with our tour. You responded to our e-mails quickly. Our guide, Carlene, was waiting for us when we got off the ship. She was excellent and very professional. The only negative point we had was the beach we went to after the Falls. We thought it could have been a little nicer. It wasn't bad, just not what we expected. A small complaint there. All else was very good. We don't like to use over-priced ship's excursion tours so we have used private tours many times. Yours was very good and in the future we will be looking for your tours in ports we visit. Thanks. We are a group of 8 aged from 12 to 45. We had a the greatest experience in Jamaica!! We learned a lot of interesting facts on Jamaica during our trip and our guide had a great sense of humor. He made us feel welcome in Jamaica and gave us some good tips for our excursion. In Dunn's River Fall,we didn't wait long although there was A LOT of tourists there that day! The climbing of the rocks in the falls was very exciting, refreshing and awesome for the eyes. Very glad I had my water shoes on! After the climbing we tasted jamaican patties, yummy!, and had a Red Stripe, very satisfying! Thank you for a great day in Jamaica!! We had a great time an everything went the way we expected it. Our driver was great and very helpful. He made sure that our DVD has the pictures on as the first CD had only the promotion video on it. Thank you for that. Also the restaurant where we had lunch was perfect. Thank you for everything!!! We had a very good driver and our trip was pleasant. We would recommend you to anyone we know who would like to do a day trip excursion. We had a very good experience with you at Dunn River Falls. Andrew who was our guide and who caught what we wanted and showed us a nice place to eat and told us about him self and the life at Jamaica. My best recommendations! 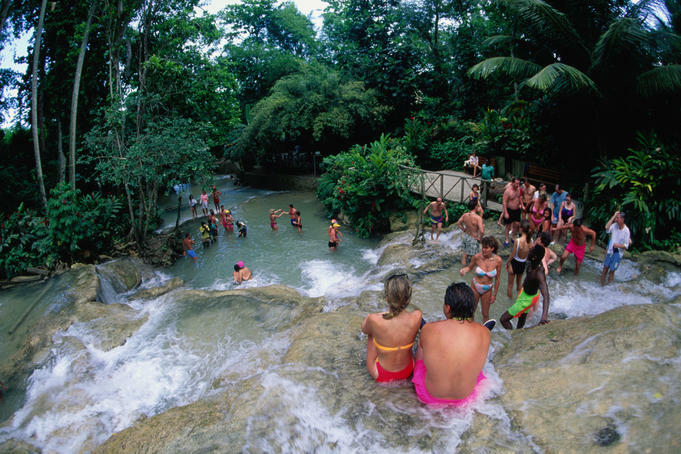 We recently went on a cruise to Jamaica where we used your service to see the Dunn river falls. Chevron our driver, tour guide, and newly found friend was excellent. He showed us the sights, customized our experience, and created new friendships. Thank you for an amazing time. I must say that I\'m very happy that I chose Jaital for our tour. Our driver/tour guide whose name is Allen, was excellent. My party of four included 2 Trinidadians,and they remarked that was the best day of the cruise.It made me proud to be Jamaican. We had a great time the driver was (Devon) was nice and courteous. The tour was exactly what we were planning on. The three stops we made were perfect and the timing was great too. We were back to the ship with plenty of time to spare. 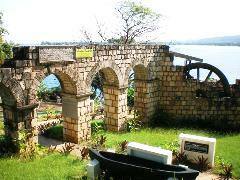 We will recommend to anyone going to Jamaica to check you out for their tours. Thanks! Our experience was excellent and our driver was great. It was great value for us all round. We will tell our friends about your service. Yes , the trip went well, I did not go, however my children are in their 40\'s and 50\'s and their children went and they said that your people were wonderful and the day went well. Thanks you so much for caring about our day. We would recommend you to anyone who asks.